Various locations of Harvest Seasonal Grill & Wine Bar will be celebrating their special Restaurant Week” from Sunday, January 20 – Friday, January 25, 2019. The special restaurant week menu will feature a three-course $20.00 lunch and four-course $35.00 dinner (plus tax & gratuity). 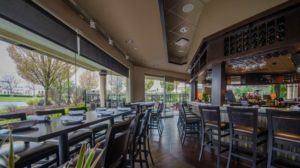 Harvest Seasonal Grill & Wine Bar locations include Glen Mills, North Wales, Radnor, Newtown, Lancaster, and Harrisburg, Pennsylvania; Moorestown, New Jersey; and Delray Beach, Florida.